GESSAN bills ran into N61 billion under the administration of President Goodluck Jonathan. Out of this amount the incumbent administration has paid the association N20 billion. However, as the association pours encomium on the federal government and the ministry for discharging their responsibility effectively, it appealed to them to disregard a criticism purportedly sponsored by an unknown person castigating them. The National Chairman of GESSAN, Alhaji Kabiru Umar Fara, told news men in Abuja that the issues raised in a national daily by the person who made the allegations is against its professional ethics. “The allegations are untrue, unfounded and immature,” Fara explained. According to him, the person that levelled the allegation has done something similar as he tried to tarnish the image of the government in the past. 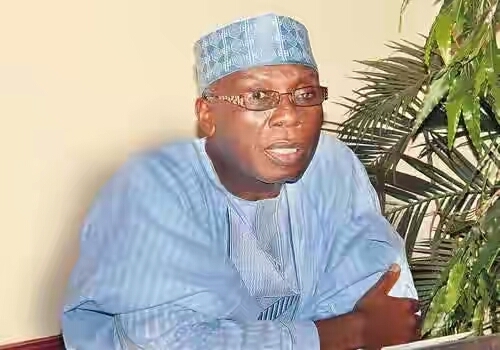 While asking the Minister of Agriculture, Chief Audu Ogbeh to institute a legal action against the erring member, Fara thanked the Minister for his effort in making a case for the association to get paid its outstanding money, urging the federal government to give premium to food security just as war is being waged against insecurity across the country. He lamented that the action of the producers is affecting farmers’ productivity. “For instance, of the 700,000 metric tonnes of urea needed by farmers this year, it ls less likely that they have the capacity to meet the demand,” he added. A Board of Trustees member of the association, Mr Akinola Martins, also echoed similar view, pleading with the ministry to see how the sector can be moved forward.